Here are our most expensive jewels, cleaned, well-kept and technically perfect. 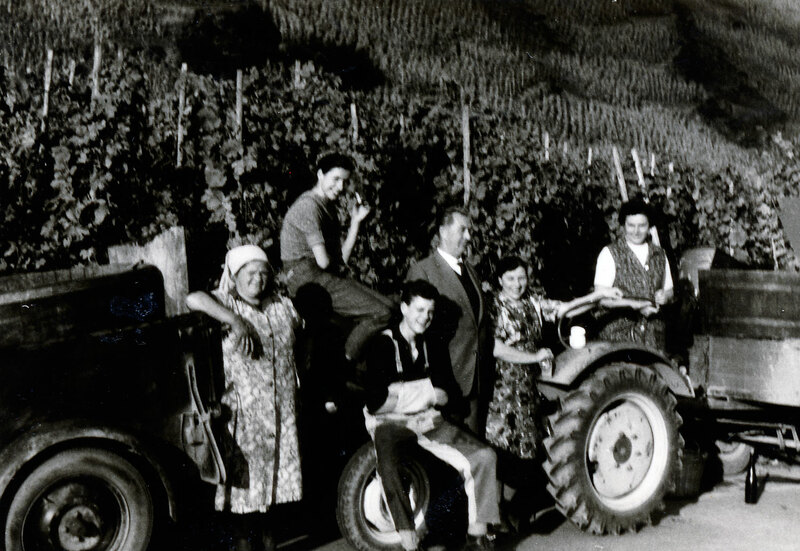 All of them are ready to continue their work in the vineyard every day. 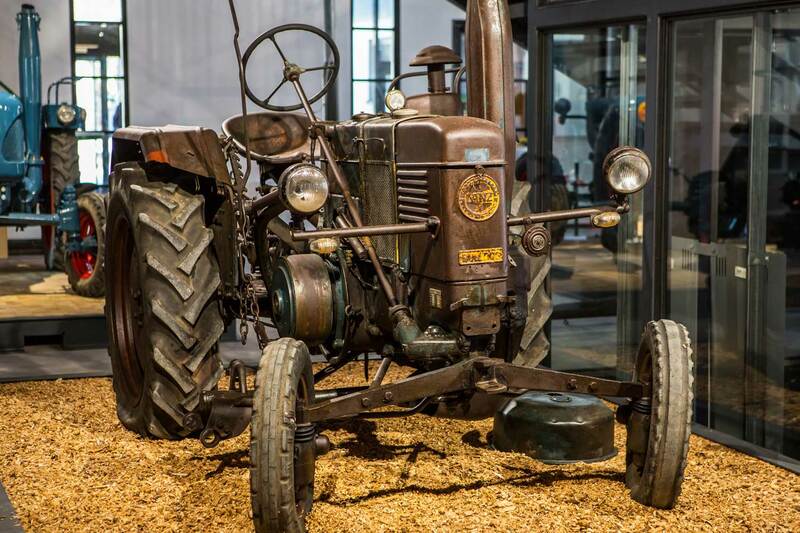 Every tractor is going to be very unique in the near future, a living fossil from the past. They have to face the same fate as that of their relatives which are buried at a graveyard. Once there were many, now there are only a few left. These are strange, almost bizarre creatures with a weird figure, similar to beings from long-forgotten times. Somehow strange, but still familiar in some aspects, their colors, the shine in their headlamp-eyes which have seen many things - still fresh. You can see that these are the predecessors to the much improved modern machines which replaced them long ago. They have no chance and no will in competing against their grandchildren. There are some things that the bigger grandchildren with their perfect blueprints, bigger wheels and their futuristic design do not know: they are only a transition. Will there be someone who builds a museum as a tribute to them so that the memories of these machines will not get lost? Maybe. Their predecessors in our museum are clearly more sympathic and lovely to us and we like everyone of them just as it is. 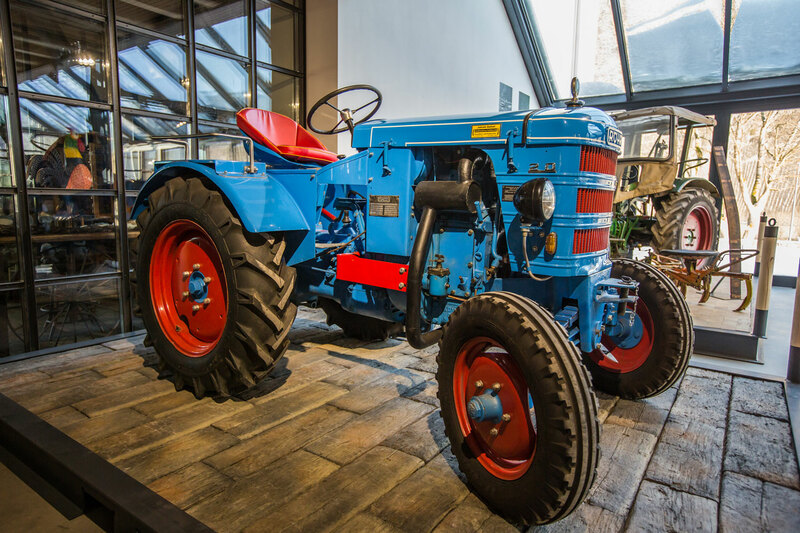 Feel free to decide which one of them has more appeal to you: a futuristic high-tech-tractor or its touching predecessor from the 60ies. Yes, the modern machines are exciting, we do not want to malign them. But they would not be here if their fearless predecessors did not pave the way for all those technical optimizations. 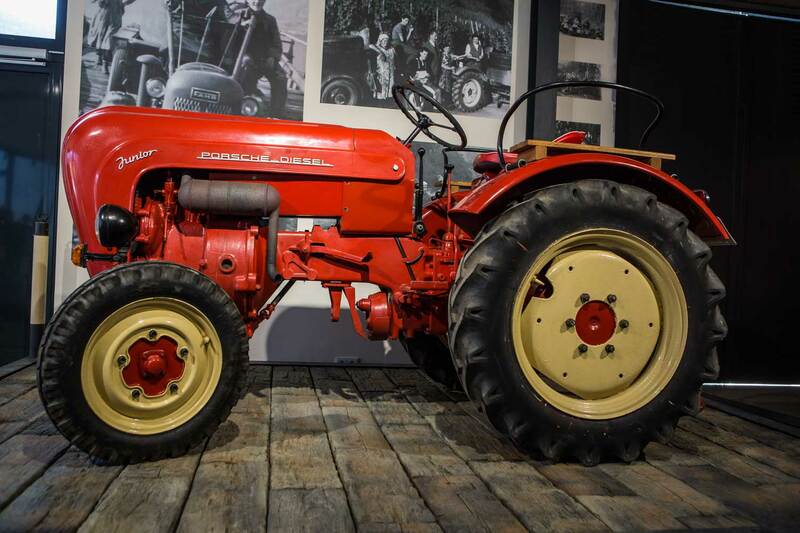 The modern tractors are the smiling heirs, but our old tractors in the museum are the base. Their diligence, their worries, their triumphes in the vineyard and on the acre did start it all.